Almost every institution in the California Community Colleges system will be adopting the same cloud-based, systemwide library services platform. The goal is to connect every student to the "most useful, high quality resources" through a uniform application. 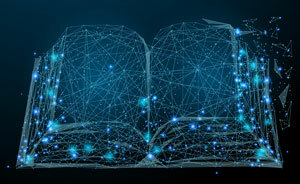 The platform is expected to replace the various library systems currently in use by participating community colleges in the state and is built on two products produced by ExLibris, which specializes in content applications for higher education. Instructors who teach at multiple schools will be able to use the same tools at all of them for locating curriculum and research resources. On top of those user advantages, by going with a cloud-based platform, the CCC said it expected to improve maintenance, boost connectivity, gain a state-of-the-art design and enhance collaboration among the libraries. So far, 110 of the community colleges out of 115 in the state have signed onto the implementation. Right now, 11 "vanguard" schools are piloting the training, data migration, network "zone" building, system configuration and workflow planning in preparation for adopting the new platform. By January 2020, all of the colleges that are part of the project will go live. Funding for deployment and subscriptions into the 2020-2021 academic year is being provided by the project itself, which is supported by the Chancellor's Office and the Council of Chief Librarians. The CCC Board of Governors has approved an additional five years of participation to be covered by the college system itself. ExLibris' Alma and Primo will both be used. Alma is a unified, cloud-based library services platform for managing print, electronic and digital materials in a single interface. Primo integrates with library and academic systems to make library resources more findable and sharable. According to Barney Gomez, vice chancellor of digital innovation and infrastructure for the CCC Chancellor's Office, the project "opens opportunities for unprecedented digital and physical resource sharing across the state, increasing all students' access to quality library resources." As he explained in a statement, "Students who take courses at more than one college will now experience very similar search interfaces, making it easier to navigate library collections across the state."